Discussion in 'General Discussion' started by Rob Croson, Jun 1, 2018. Saw this Comuta-Car (later version of the CitiCar) on a local corner used car lot. 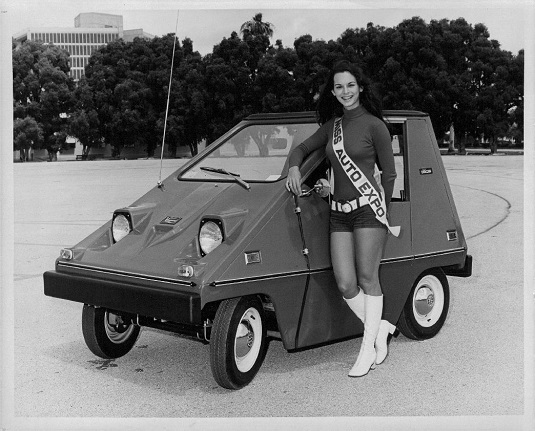 An electric two-seater made in the late 70s. Don't know the exact year. The batteries were stored in battery boxes hung under the front bumper! Maurtis, wizard of ahs and RUCRAYZE like this. There's a guy in our area that has an orange one. It looks like brand new. Vanguard Citicar - Wikipedia. Electric Car History.